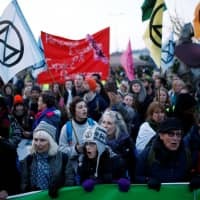 On Monday, a loosely knit but well-organized group called Extinction Rebellion, born in Britain, launched a week-long campaign in major cities worldwide, vowing to “bring London to a standstill” by blocking traffic at Waterloo Bridge, Parliament Square and other iconic locations. XR, as the group is known, looked to historic examples of civil disobedience — the U.S. civil rights movement, the push for Indian independence — for inspiration. 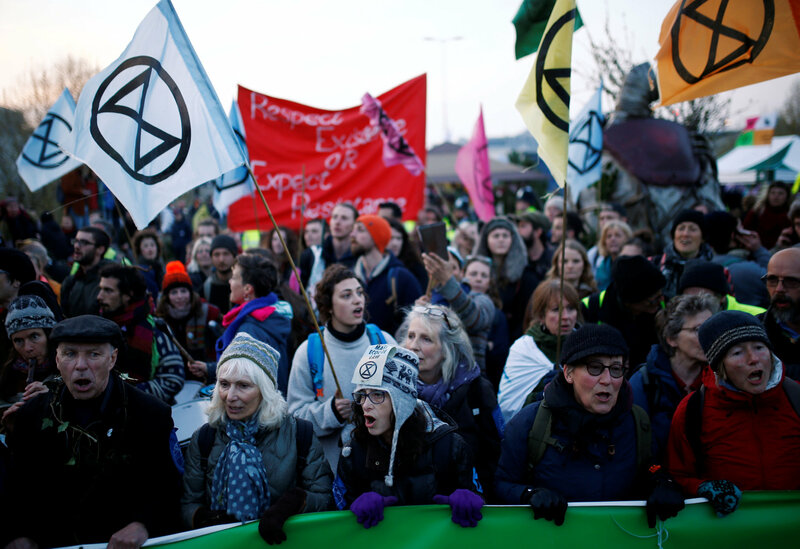 What triggered the sudden uptick in climate activism is unclear, but several participants in the course mentioned a landmark U.N. science report last fall warning that only a deep change in the way humanity produces and consumes energy can minimize global warming devastation. Two thirds of the group clustered in the two “nonviolent” quadrants, but were evenly divided on whether to carry out the raid. “We have to legitimize our actions in the eyes of the public,” he told the group.